A radioallergosorbent (RAST) test measures the level of allergen-specific antibodies in your blood. Simply put, it measures your immune system's reaction to a particular food allergen. Despite its capabilities, few doctors use the RAST blood test to screen for allergies today. Instead, they're using what is called the enzyme-linked immunosorbent assay (ELISA) which is more sensitive and doesn't require the use of radioactivity. However, your doctor may have reasons for using the older RAST technology. Here is what you should expect and what the test results actually mean. One of the central roles of the immune system is to produce proteins called antibodies to fight any substance or organism it views as a threat. When you have an allergy, your immune system will mistakenly regard a harmless substance (allergen) as a threat and produce immunoglobulin E (IgE) antibodies specific to that allergen. 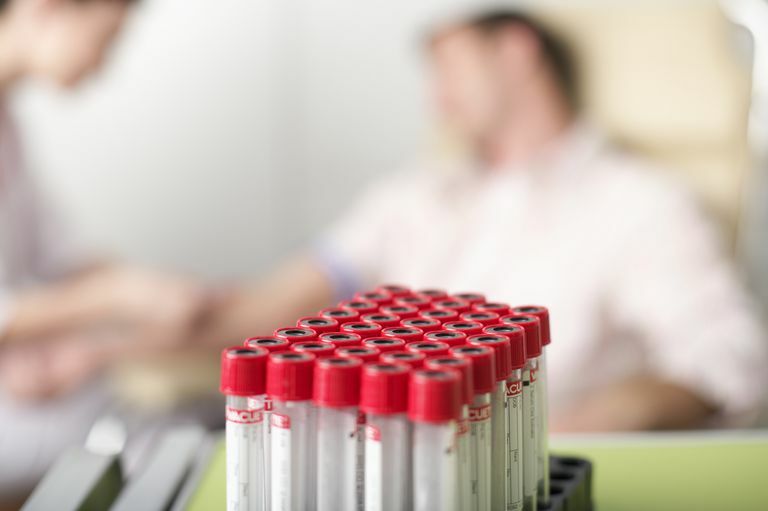 When your doctor orders a RAST test, you will be asked to provide a blood sample. The lab will then use the RAST technology to look for allergen-specific IgE antibodies, the results of which they will list in a lab report. As straightforward as this may seem, the RAST test has its definite limitations. While a RAST test can detect the concentration of IgE antibodies in your blood, it cannot predict how you will respond to the allergen it is associated with. RAST tests are also not very sensitive compared to other technologies. They have a low rate of false-positive results and a fair number of false-negative results (although this varies by allergen). With that being said, people with low concentrations of allergen-specific antibodies tend to have a low chance of reacting to a possible allergen in real life, especially if a skin prick test is also negative. Different foods have specific IgE levels that are considered "predictive" in the RAST test. Researchers can determine this by conducting research in which they compare IgE concentrations to a reactive allergic response in a food challenge. Doing so can determine at which lgE level a person is more likely to experience an allergy to a specific allergen. These values provide labs with the numeric references they need to interpret a blood test result. Each allergen has its own reference value which the lab will interpret individually. Most labs will report the RAST findings on a scale of 0 to 5 or more. A 0 value suggests a low likelihood of an allergy. Values at the upper end are indicative of a higher likelihood of an allergy. Some labs will not use a scale but will simply report the IgE values in micrograms per milliliter (μg/mL). An experienced allergist will know what this means. A RAST test can be used to direct some aspects of an allergy treatment. For example, they can sometimes help to determine whether a child is showing signs of outgrowing a food allergy. Although predictive values have been established for some foods, those levels sometimes vary by age. Moreover, researchers haven't determined the predictive values for all foods. One study reported that children who were told they couldn't eat certain foods based on a RAST test later found that they could after undergoing a food challenge. As such, a RAST should never be used in isolation but rather to support the findings of other tests. RAST tests are just one way of testing for food allergies. They may provide some valuable clues to help determine why you have symptoms, but your allergist is likely to use them in combination with other allergy tests. As always, if you have specific questions about interpreting your test results, or wonder why you were offered a particular medical test as part of a food allergy diagnostic workup, your allergist or immunologist is the best person to ask. What Are My Allergy Test Options? Kurowski, Kurt and Robert W. Boxer. "Food Allergies: Detection and Management." American Family Physician. June 2008, 77(12). 1987-88. Sampson, H. and Ho, D. Relationship between food-specific IgE concentrations and the risk of positive food challenges in children and adolescents. J Allergy Clin Immunol. 1997;110(4):441-55. DOI: 10.1016/S0091-6749(97)70133-7. Sicherer, Scott. "Advances in Allergic Skin Disease, Anaphylaxis, and Hypersensitivity Reactions to Foods, Drugs, and Insects in 2007." Journal of Allergy and Clinical Immunology. June 2008, 121(6). 1351-58.